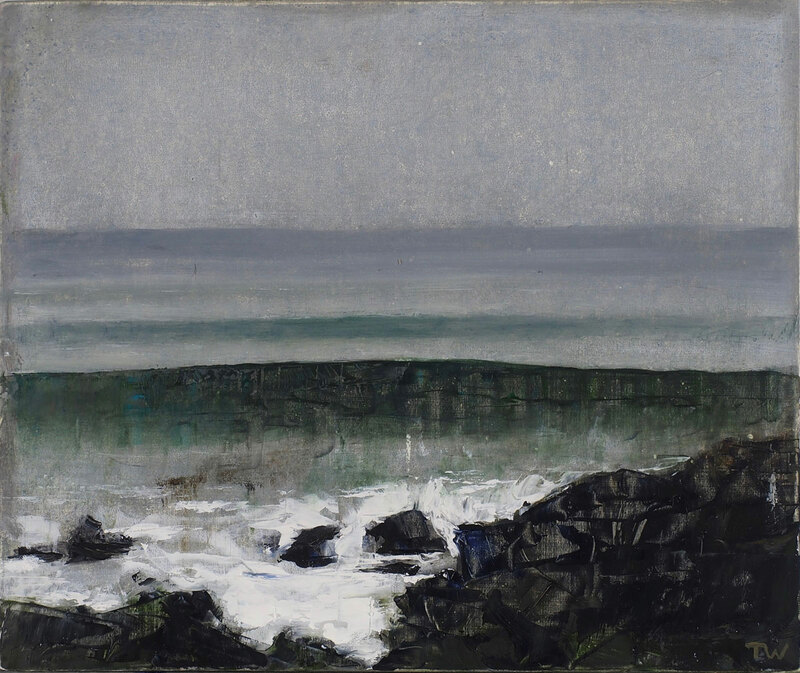 Despite the diversity of Thornton Walker’s subject matter and technique, his interest in the dynamics of composition, perspective and spatial depth remains constant. 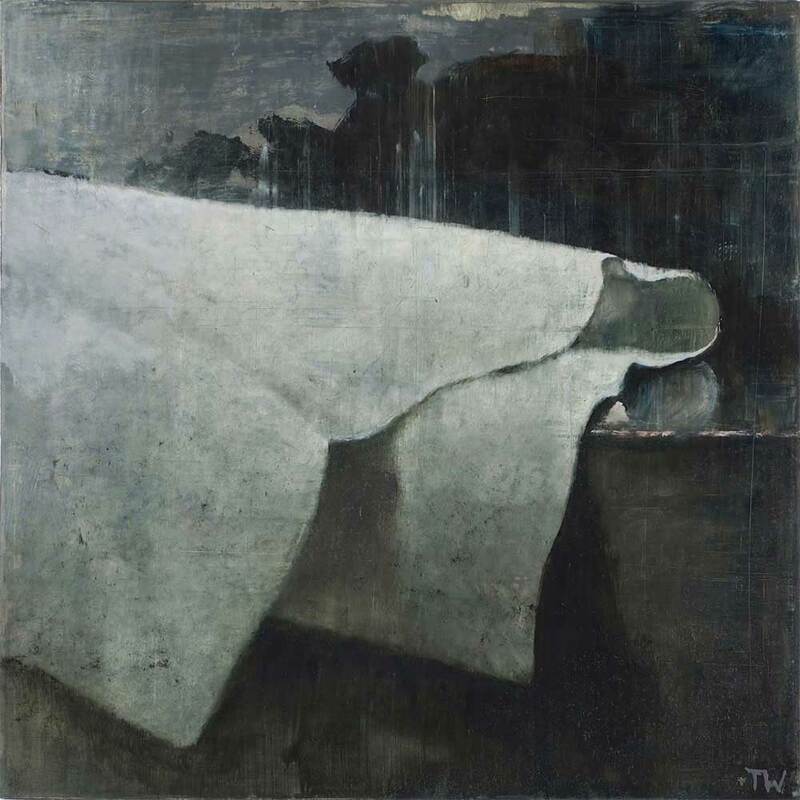 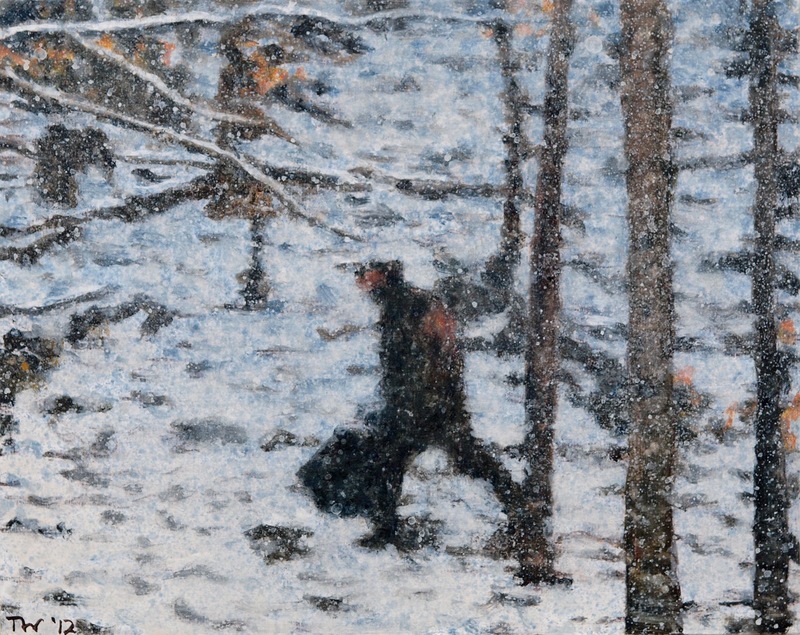 While maintaining a focus on formal painterly concerns, Thornton incorporates subject matter recalled from travel, personal memories and sometimes dreams, conferring an ethereal, meditative quality to his work. 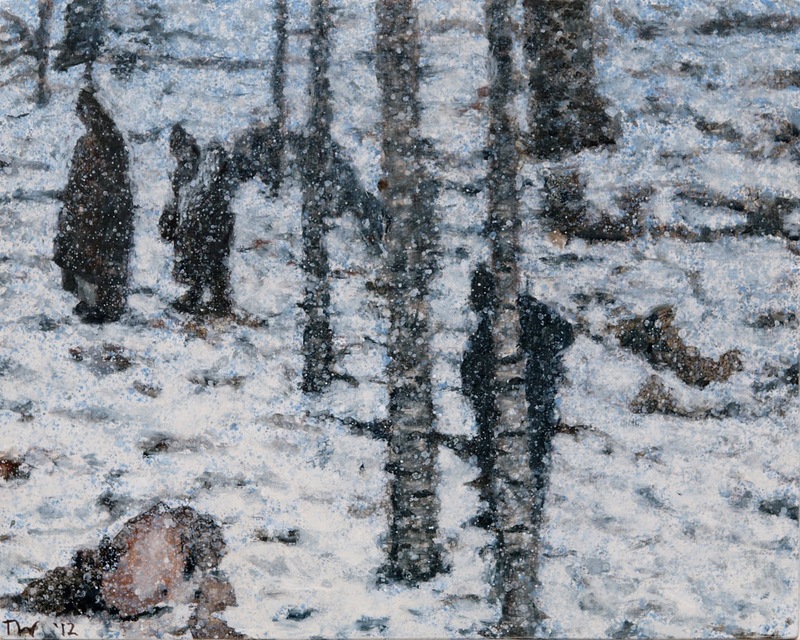 Thornton’s paintings, on both paper and canvas, explore both landscape and figurative images that allude to a hidden narrative. 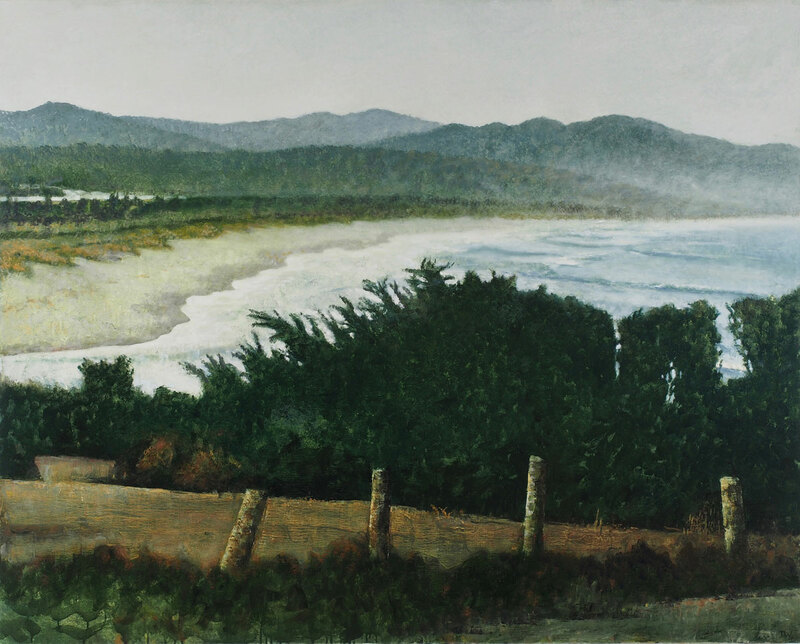 His current paintings depict glimpses of pristine coves and rocky outcrops from the walking tracks of the south coast, near Bateman’s Bay. 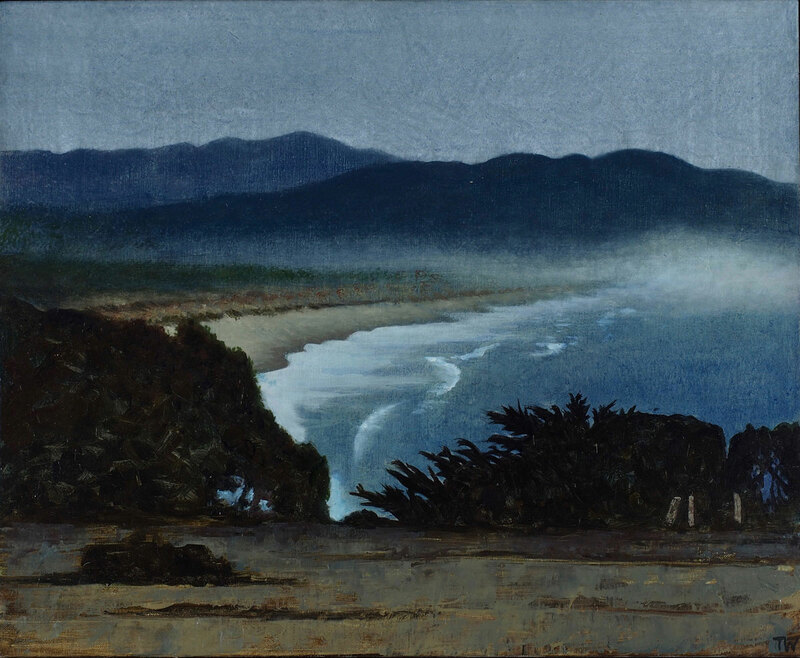 Each painting is overwhelmingly beautiful yet mysterious and still. 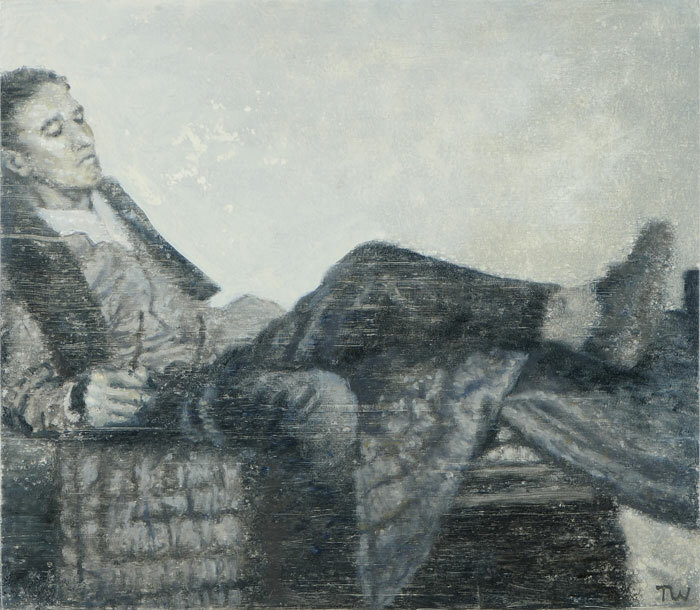 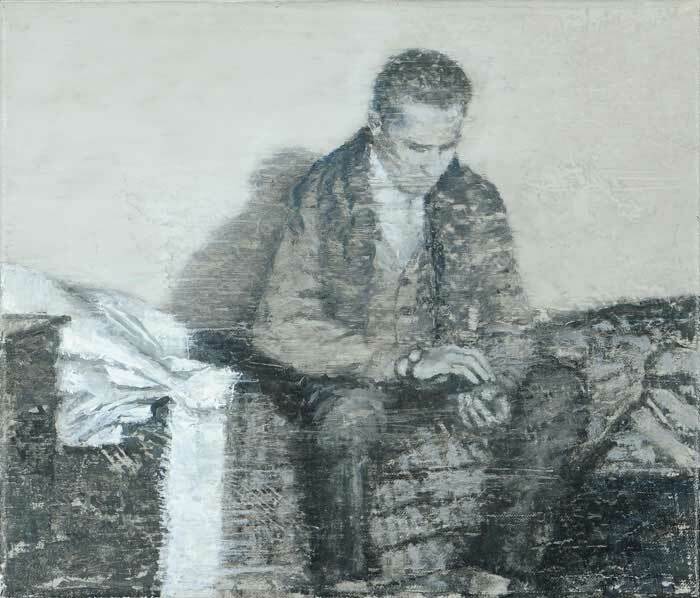 Thornton uses a technique of mixing oil paint with different alkyd mediums to create a very thin paint, with virtually no viscosity, allowing a painterly effect that is both fluid and unpredictable. 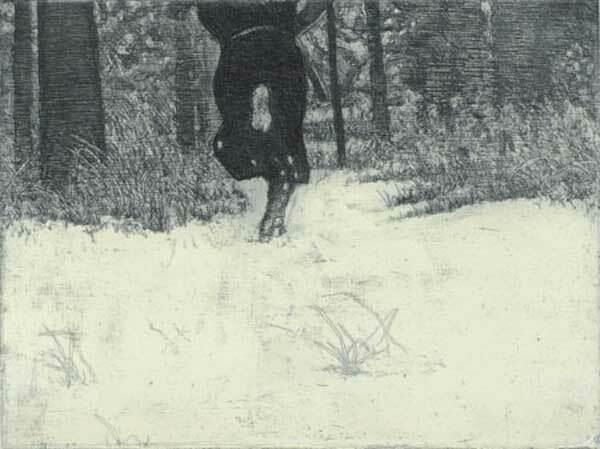 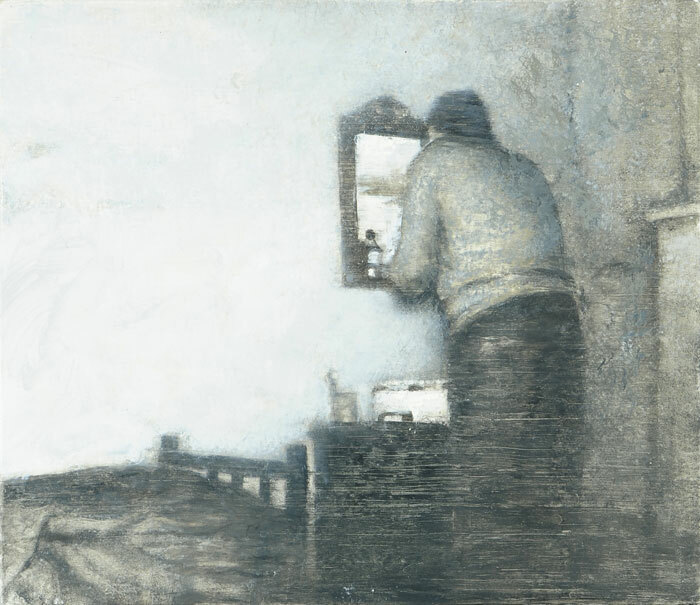 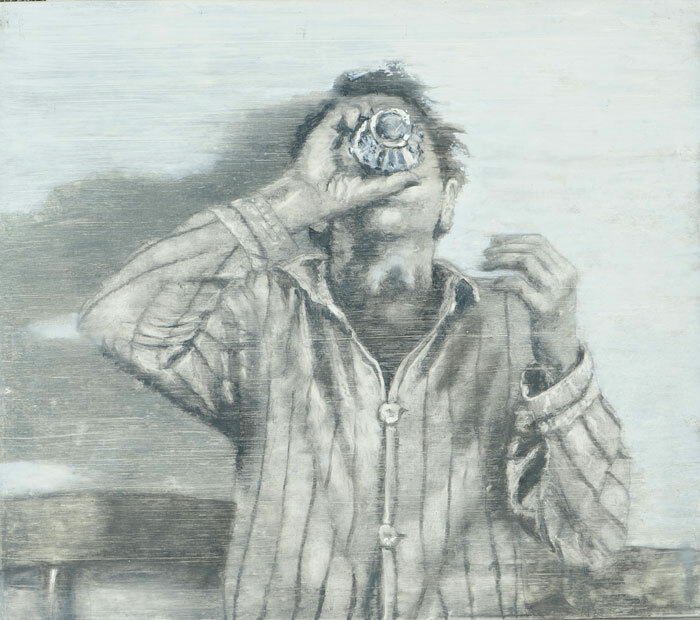 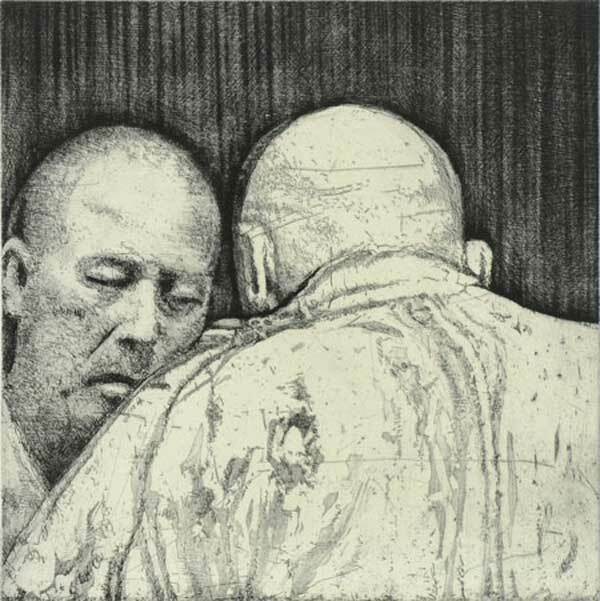 As well as oil paintings, his practice includes printmaking, pastels and pen and ink. 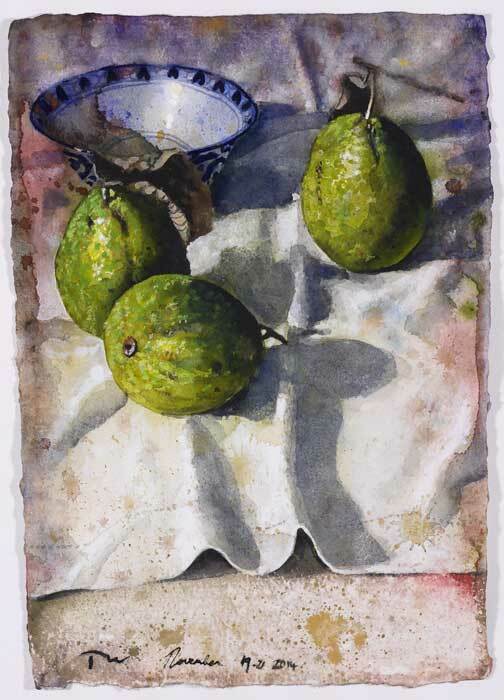 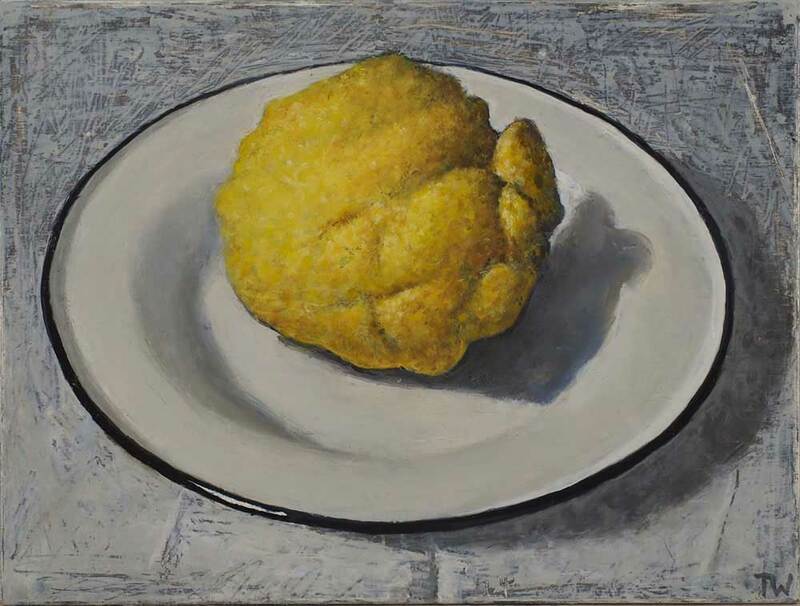 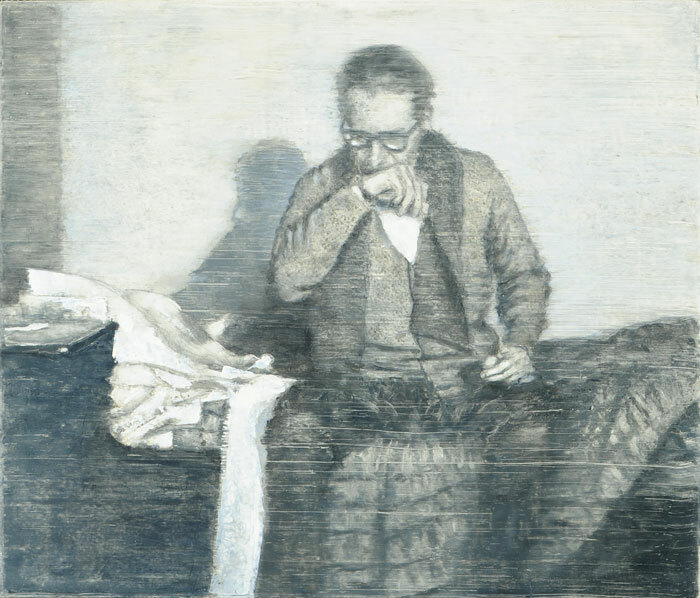 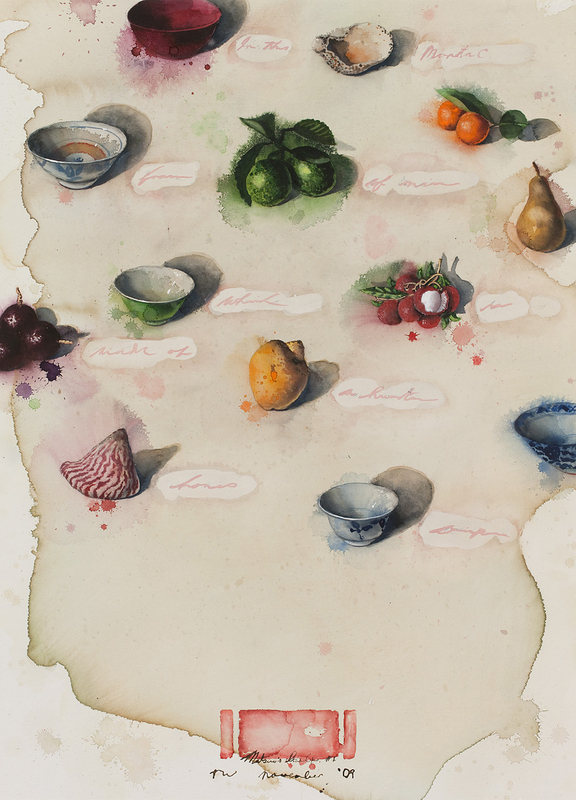 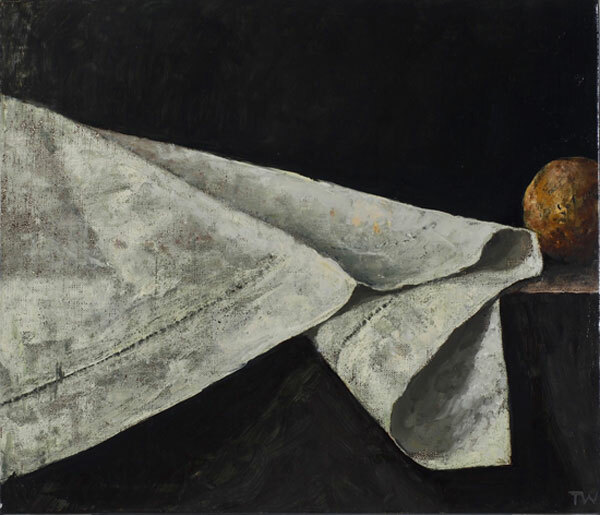 He also regularly sets aside time to paint still life watercolours as a way of ‘keeping his eye in,’ producing non formulaic paintings that continues to surprise him. 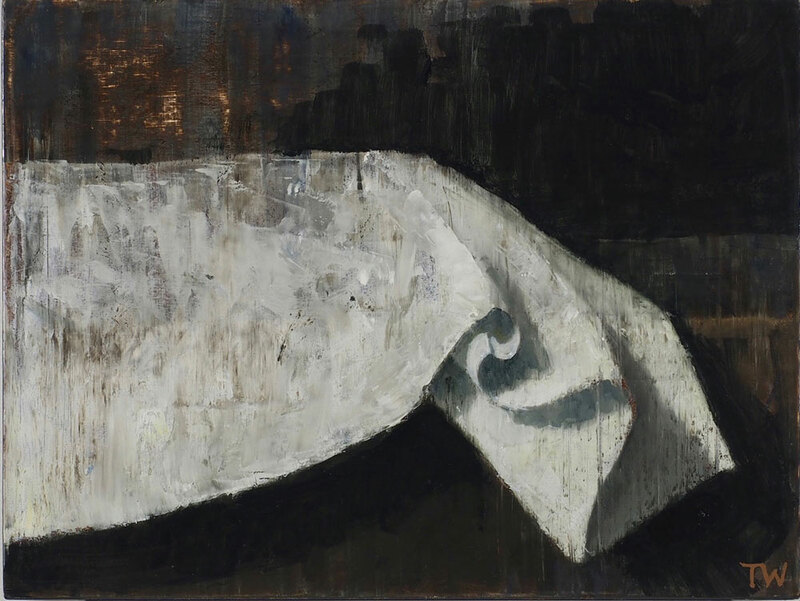 Of his practice in general he says – “I want to convey not a feeling of stillness but stillness itself, a reality removed from ‘normality’, an aspiration to a way of simply being and observing minus the baggage.” As ever, his impressive and powerful canvases allow the viewers to immerse themselves in his extraordinary imagery. 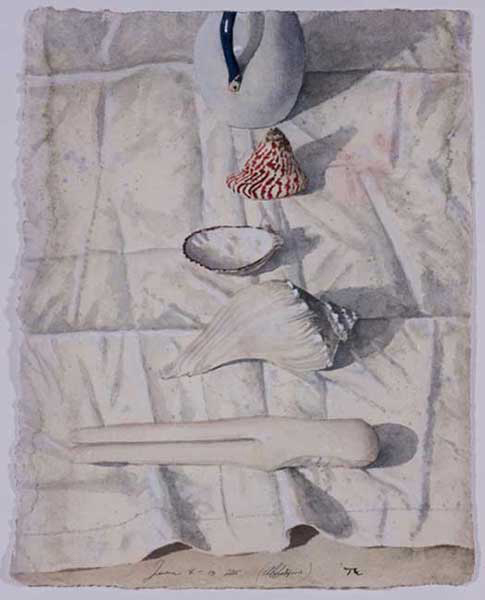 Demonstrating a masterful and sensitive handling of surfaces, Thornton’s works enchant us with their combination of unique material and spiritual qualities. 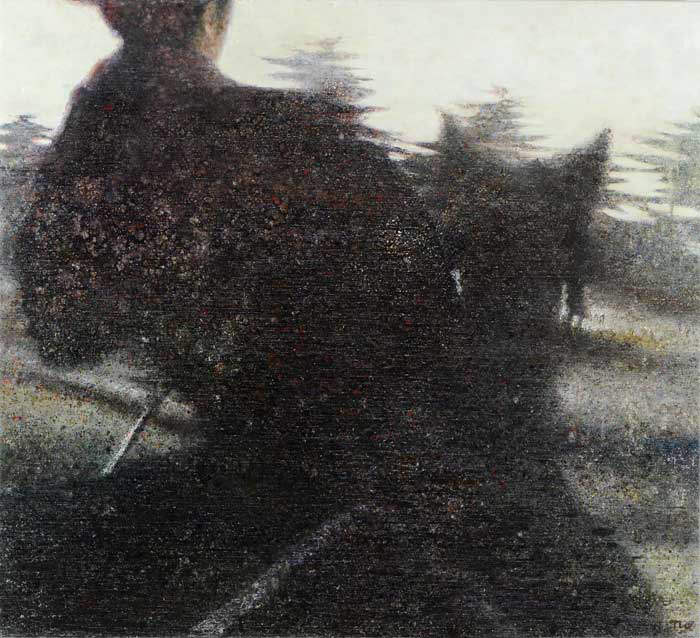 Thornton Walker studied printmaking at the Prahran College of Advanced Education and Victorian College of the Arts in Melbourne. 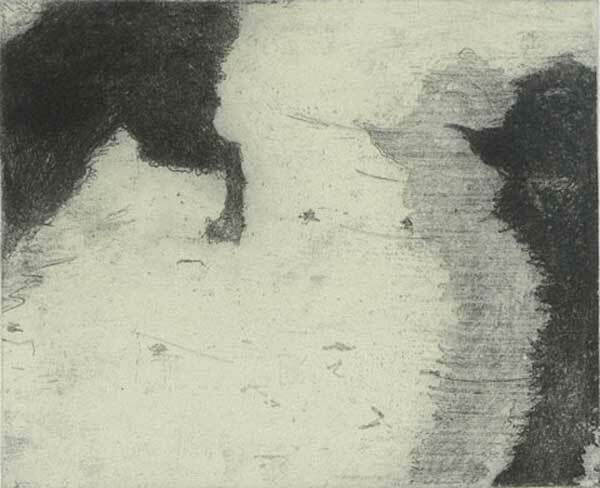 After graduating in 1977, Thornton spent the next eight years travelling extensively throughout Europe and the United States and later undertook studio residencies in Spain and Malaysia. 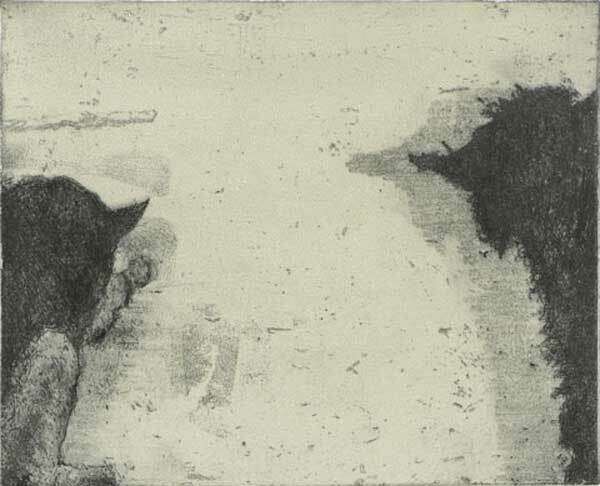 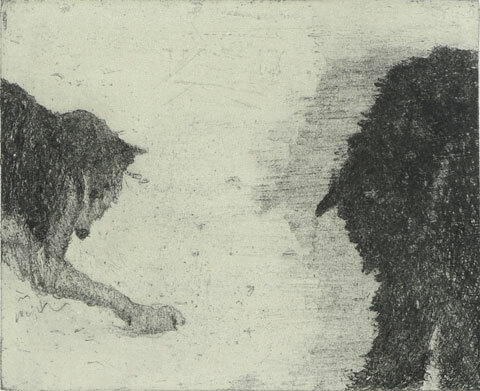 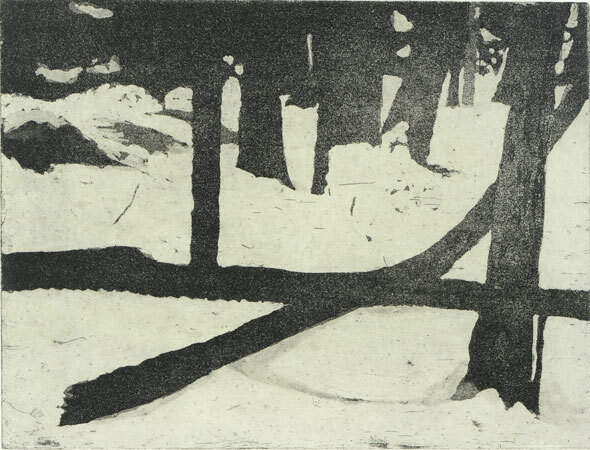 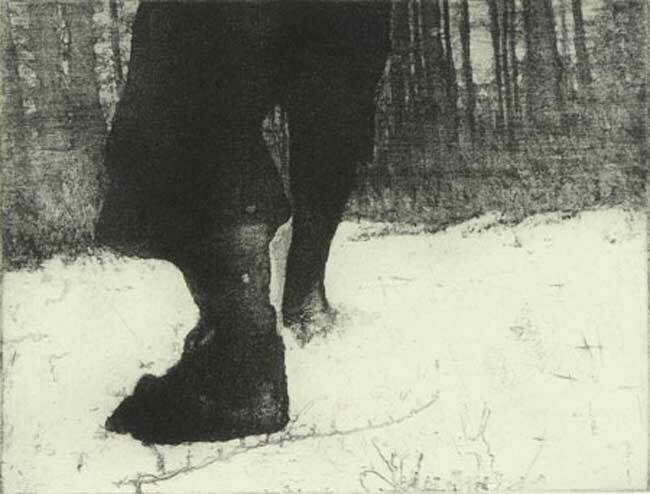 In 2007, Thornton was awarded a Printmaking Fellowship with the Australian Print Workshop in Melbourne. 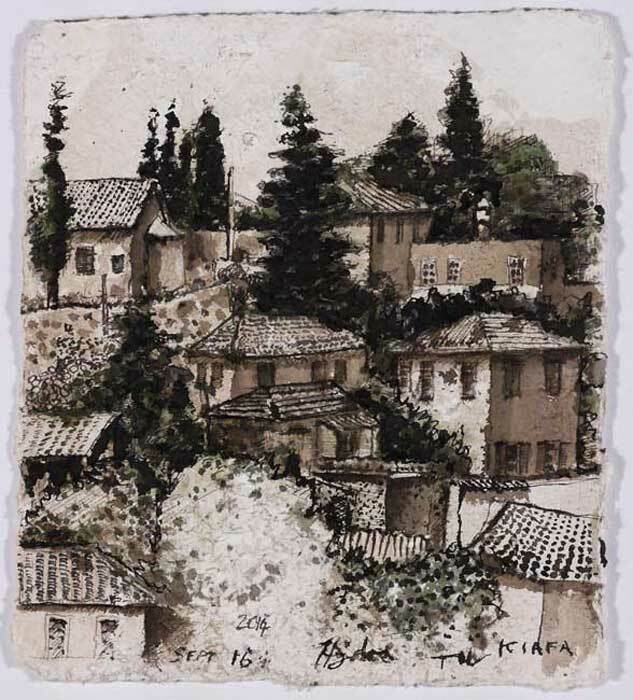 His most recent residency in Penang resulted in the ‘Georgetown’ series of works where faded photographs from temples and clan house walls inspired this captivating view of an alluring foreign culture. 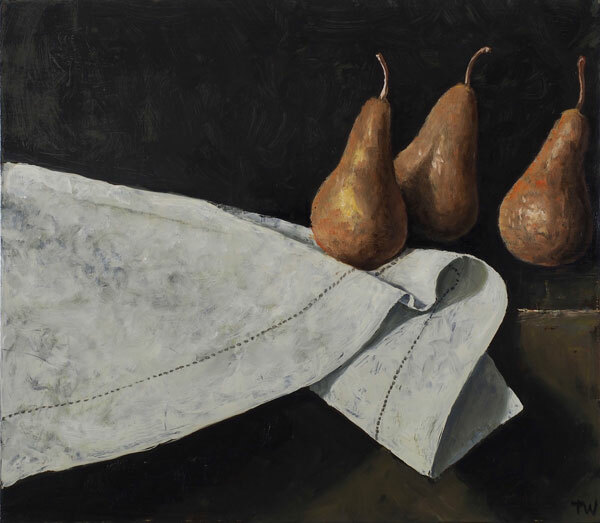 With over forty solo exhibitions to his name, Thornton has become one of Australia’s most successful and renowned figurative tonal painters. 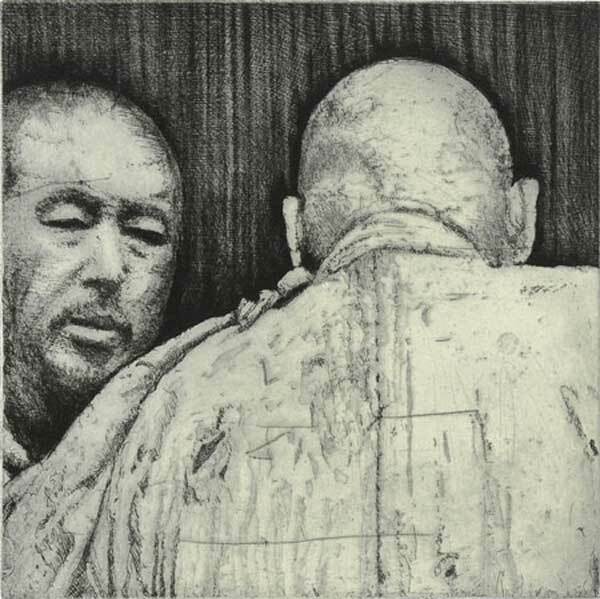 His work is represented in many collections including the National Gallery of Australia, Art Gallery of New South Wales, Art Gallery of Western Australia, Artbank, Aichi Prefectural Museum of Art (Japan), Parliament House and the British Museum.